AVP e.V. 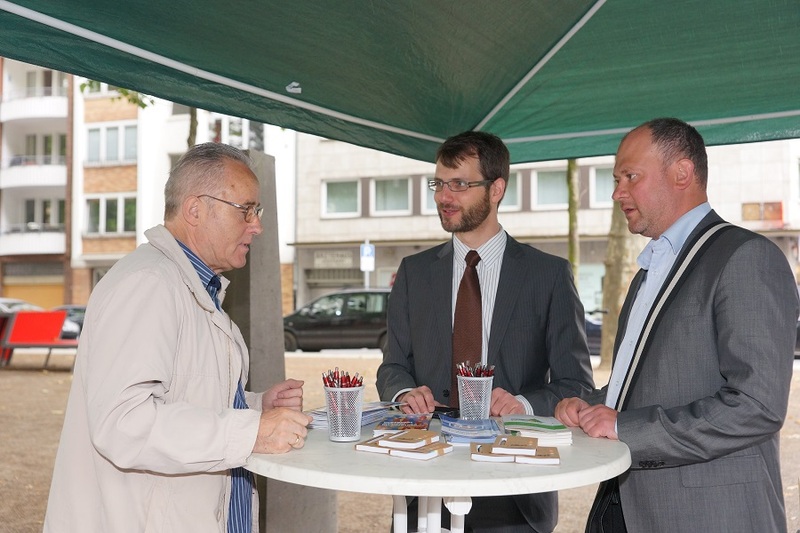 Presents Itself During a Celebration for Citizens on Oberbilk Market – AVP e.V. 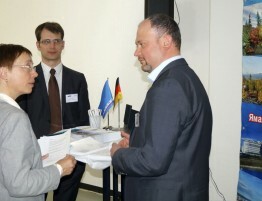 Last Saturday all organizations in Oberbilk had the opportunity to present themselves to local citizens. “VEREINte Verantwortung” (united responsibility) was the name of the event organized by the gun club St. Sebastian in Oberbilk. The event was supposed to emphasize the importance of the work of organizations for this part of the city. For AVP e.V. 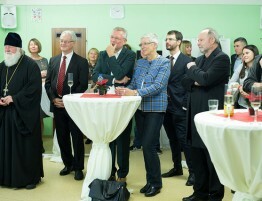 the participation in this celebration for citizens was of great importance to inform people about out its offers and to open up to and establish a close relationship with the citizens of Oberbilk. Apart from District Mayor Walter Schmidt, Chief Mayor Thomas Geisel greeted the guests in the central market square. During the BBQ and accompanied by party music they go to learn more about the offers of different organizations in the area. In a relaxed atmosphere citizens received information on AVP e.V.’s diverse branches at the organization’s booth. Many questions concerned the topic of migration. Chief Mayor Geisel was interested, as well, and gathered information on AVP’s offers during a short visit to the booth. 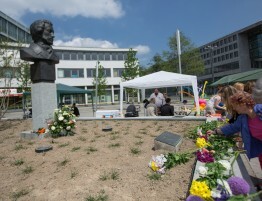 Other organizations that participated apart from the gun club and AVP were the Oberbilker Bürgerverein e.V. 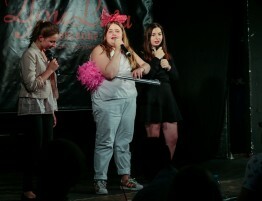 (citizens’ organization), Akki-Aktion & Kultur mit Kindern e.V. 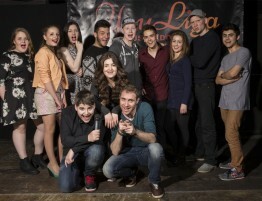 (action & culture with children), the Oberbilker Schachverein (chess club), Niemandsland e.V. (no man’s land), KG Onger Ons 1952 e.V. and SV Oberbilk e.V. (sports club).